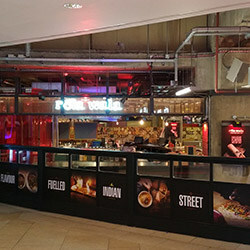 Dock Street Signs can produce Printed Vinyl to big sizes using our wide-format printers. Businesses and shops can display any sort of design without the restriction of just 1 colour. Use the printed vinyl to create feature walls, distinctive window and floor displays, wallpapers, both permanent and temporary. There are a number of options available for Printed Vinyl, available in a Matt or Gloss finish and with our without a laminate. Lamination (whether gloss or matt) is recommend for Vinyl that is installed in a high traffic area and needs to stand the test of time. Our self adhesive vinyl is easy to install on any smooth surface, we have a team of installers available if you don’t want to do it yourself! 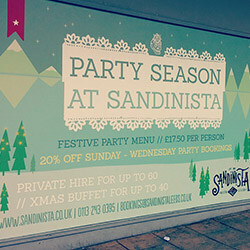 There are many applications for Printed Vinyl, the primary one being to decorate shop and business windows. Empty premises are ideal to advertise an upcoming opening or product, or to advertise the space. If you have a good condition wall surface, the printed vinyl is perfect for full wallpaper coverings; anything from a motivational message to a full high-res photo. Our printed vinyl is available with a matt or gloss finish to suit most needs and is now available as one-way vinyl to allow a window to still be see-through on one side. We also offer window vinyl if you need cut letters, shapes or etched (frosted vinyl). As standard, our printed vinyl comes backed for ease of application. So if you are looking for printed vinyl in Leeds then fill in the quote form below and we will get back to you with a price. Alternatively call 01133226442 or email info@dockstreetsigns.co.uk. 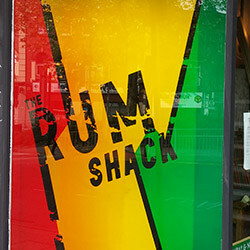 We also offer other external signage, internal signs, rigid media, vinyl and event media.